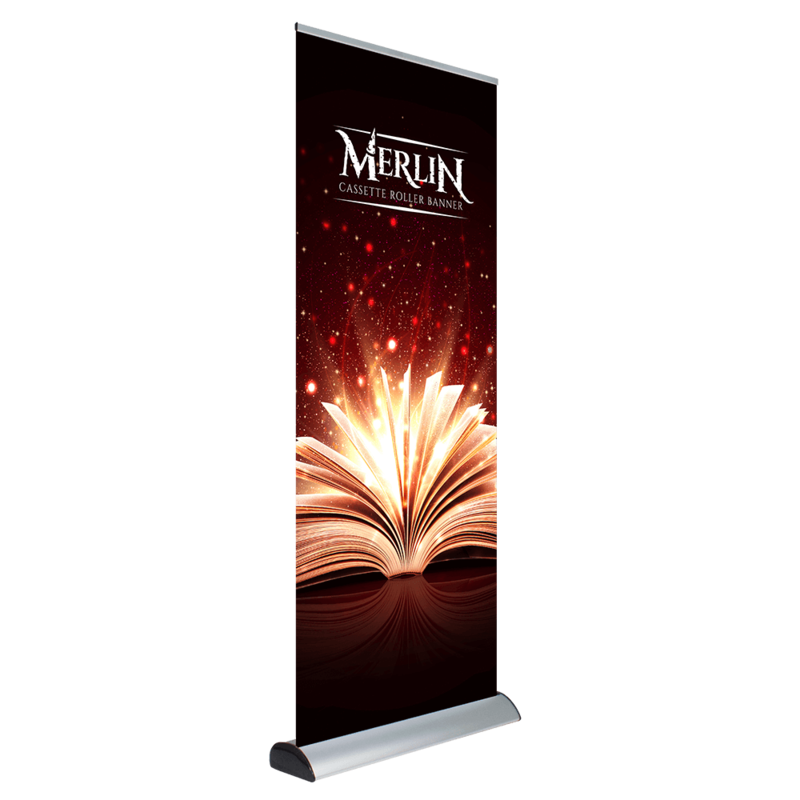 The Merlin Cassette Roller Banner delivers big when it comes to marketing your message. Merlin boasts a versatile cassette that makes changing your graphic a breeze. In fact, you can swap graphics in a mere thirty seconds, which makes this product ideal for venues or environments where your message needs to be routinely changed. 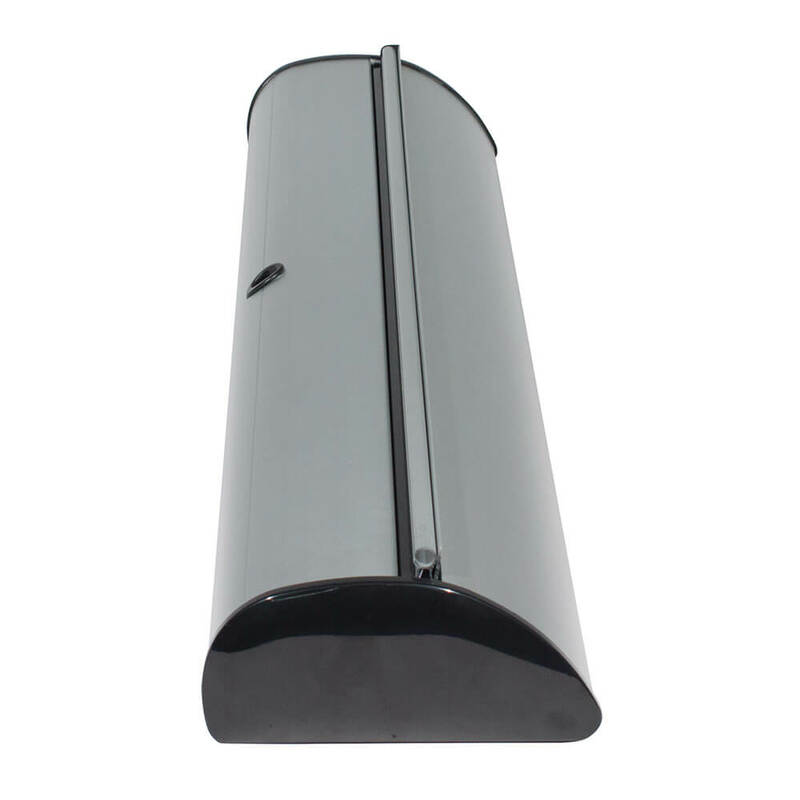 Project Design Print will create your graphic on 400gsm anti-curl, anti-scuff, anti-glare SoFlat. Simply upload your artwork and we'll produce your world-class banner. 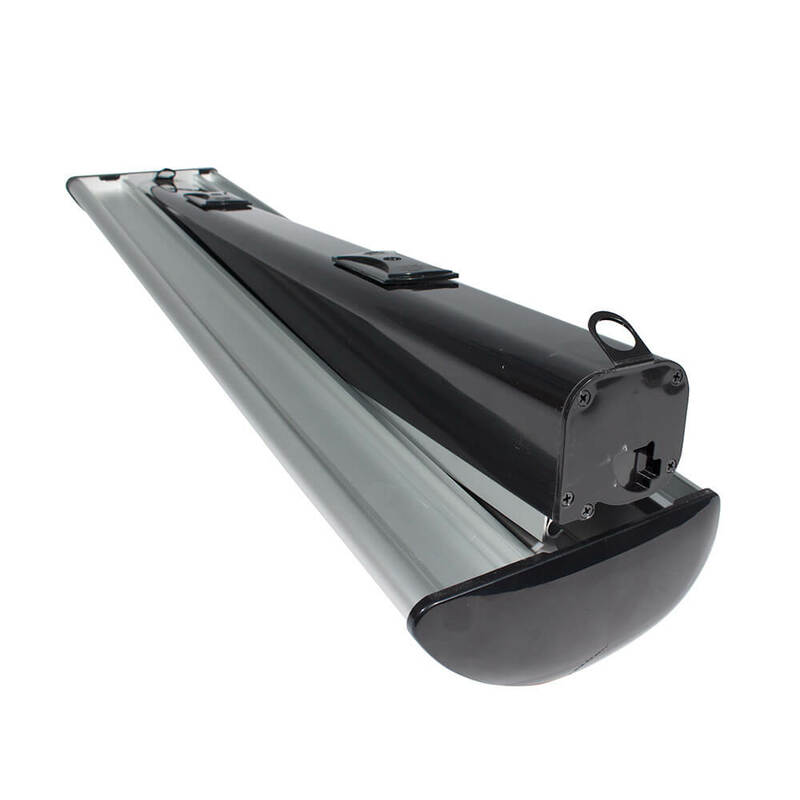 In addition, the Merlin Cassette Roller Banner will arrive with its hybrid telescopic pole and snap rail. 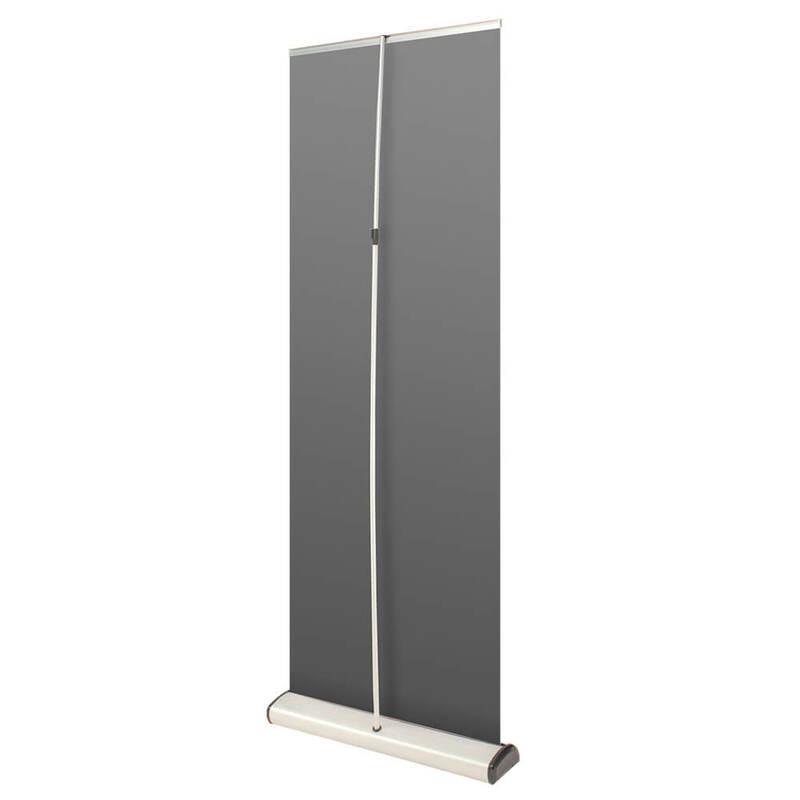 Its adjustable feet ensure reliable stability for your stand, while its padded carrying case makes transporting your banner safe and convenient.